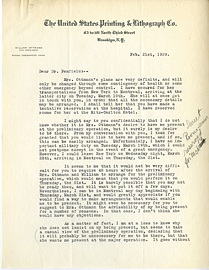 Letter from William Ottmann to Wilder Penfield, December 28, 1929. 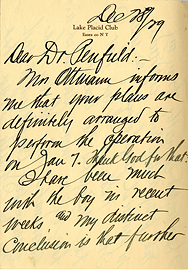 Letter from William Ottmann to Wilder Penfield, February 21, 1929. 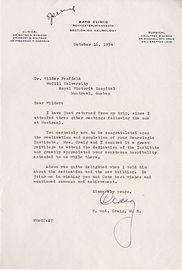 Letter from William S. Carter to Wilder Penfield, August 30, 1933. 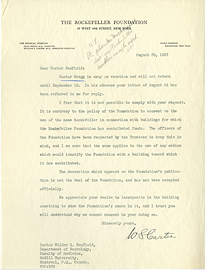 Letter from Winchell McKendree Craig to Wilder Penfield, October 16, 1934. 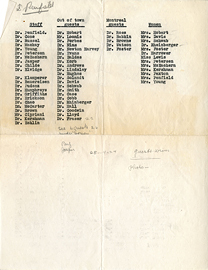 List of Invitations Still to be Sent. 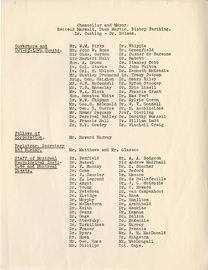 Lists of Staff, Out of Town Guests, Montreal guests, and Women. Long sheet of surgical tools, medical illustration. 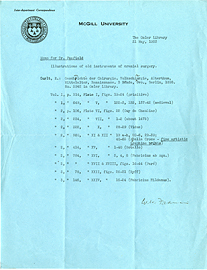 Madeleine Ottmann Fund for Research in Epilepsy. 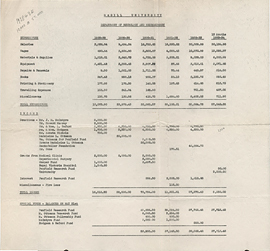 Statement of Receipts and Expenditure to Oct. 31 1929. 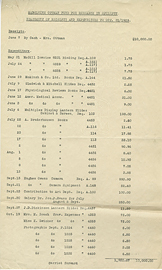 McGill University, Department of Neurology and Neurosurgery, budget 1928-1934. 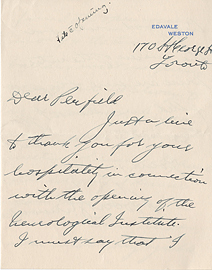 McGill will open brain laboratory, article. 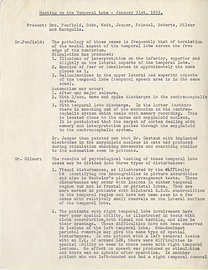 Meeting on the Temporal Lobe, January 31st, 1953. 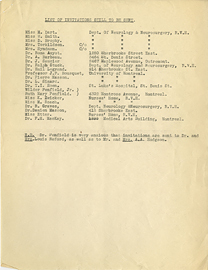 Memo for Dr. Penfield from the Osler Library, May 31, 1933. 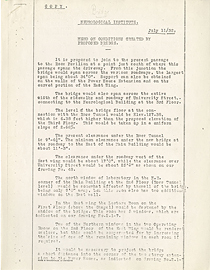 Memo On Conditions Created by Proposed Bridge, July 11, 1932.